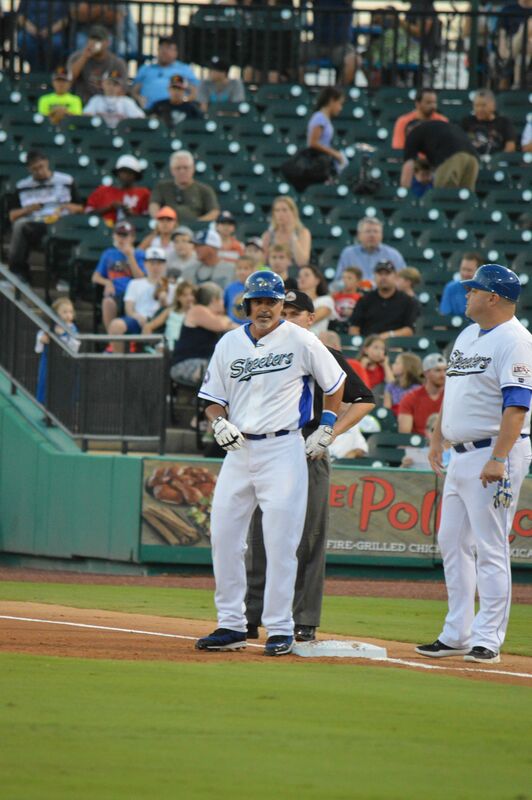 It was 500-home run, 3,000-hit veteran Rafael Palmeiro's first appearance in a professional game in 20 years that got most of the attention at Sugar Land last weekend (he had a high-chopper single up the middle and a line single into the left-center alley in four at-bats), but son Patrick could benefit the most because the strong finish to the 25-year-old's season could give some major league organization reason to take a look at the third baseman. After hitting only .226 on August 22, he elevated his average by 30 points in the last month to finish at .256-13-68 with an added 28 doubles. Patrick had one five-game span late in the final month when he homered three times and drove in 16 runs. As for the appearance by Rafael, Skeeters manager Gary Gaetti probably put it into perspective the best: "This is a unique opportunity that the Atlantic League and Independent Baseball in general allows for it to happen," he told Brett Dolan of HoustonCBSLocal.com. "We aren't trying to make a joke out of it. Rafael is a professional, retired ex-baseball player. For him to want to do this is pretty remarkable."